Dominating the restaurant scene for over 25 years, Marco Pierre White is a chef, restauranteur and TV personality. Honoured with his first Michelin star in 1987, Marco went on to become the youngest British chef to win three Michelin stars in the UK. Turning into a celebrity chef, he was instrumental in training both Gordon Ramsay and Heston Blumenthal, who would eventually become celebrity chefs. Marco has made appearances in Hell’s Kitchen and Masterchef Australia and is widely regarded as the Godfather of Modern Cooking. RMAL Hospitality holds the worldwide rights (except the UK) for Marco Pierre White’s portfolio of restaurants. After our successful expansion into the UAE, we are open to partnerships for other regions. Please check our Franchise section for more information. Abu Dhabi 06 November 2018: RMAL Hospitality has partnered with Marco Pierre White and his UK business partner Nick Taplin to form Black and White International. 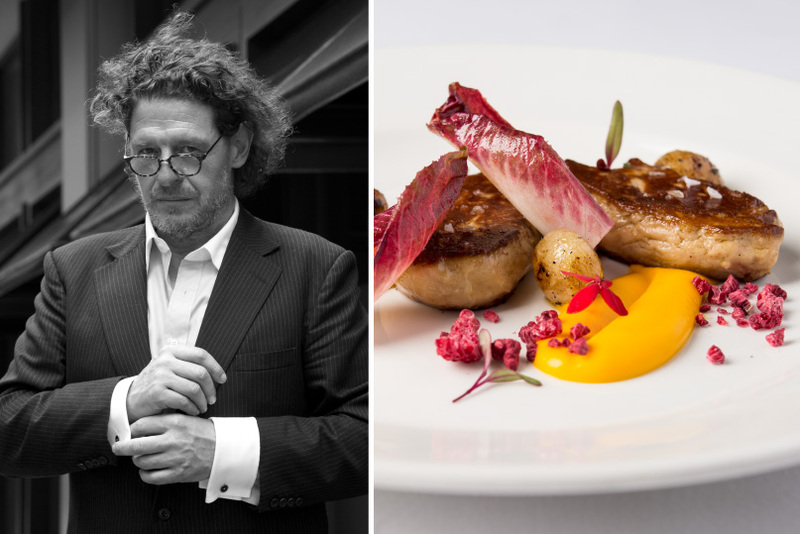 As Marco looks to open his 50th restaurant in the UK, through his Black and White Hospitality business, the new division will now promote Pierre White’s franchised restaurants in the UAE market, and beyond. News of the deal will be closely followed by the opening of the first two venues both of which are in Abu Dhabi. This will include a Marco Pierre White Steakhouse Bar & Grill at the end of 2018 and a New York Italian, which is expected to open in March 2019. Jihad Hazzan, Chief Operating Officer of Al Fahim Hospitality, and Elias Madbak, Managing Director of RMAL Hospitality, the restaurant arm of the Al Fahim group, will now work closely with the newly formed business to expand further the group’s worldwide appeal, which currently has seven brands within its portfolio. 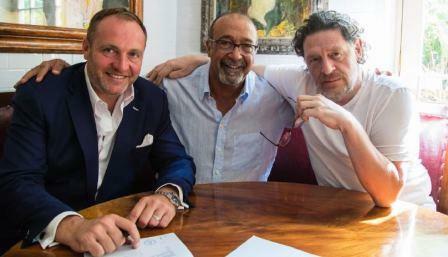 This includes Marco Pierre White Steakhouse Bar & Grill, New York Italian, Bardolino Pizzeria Bellini & Espresso Bar, Wheelers of St James Oyster Bar & Grill Room, Marconi Coffee & Juice Bar, Mr White’s English Chophouse and the new Koffmann and Mr White’s English French Brasserie, which launched in Bath, UK in October 2018 with Pierre Koffmann working alongside Marco once again. Jihad Hazzan, COO of Al Fahim Hospitality said: “I have known Marco Pierre White for years and he is widely regarded as the Godfather of Modern Cooking, is hugely respected and is one of the most globally recognised names in the catering sector. After our successful expansion into the UAE, we’re now looking forward to developing partnerships for other regions. “We’ll now look to take that model further, using Marco’s belief of ‘creating restaurants that offer affordable glamour’, further afield. “The Black and White team is also hugely experienced and very enthusiastic with some working overseas already, which means we now have an amazing mix to take the offer global,” concluded Mr Hazzan. Black and White Hospitality is approaching the opening of its fiftieth venue in the UK and is keen to expand further. Speaking on the partnership Nick Taplin, Chairman and CEO of Black and White Hospitality said: “Not only is he well-known because of his success as a chef and restauranteur, Marco’s international presence has grown further following appearances on TV shows such as Master Chef Asia, Master Chef Australia and also Hell’s Kitchen Australia. “It therefore makes sense for us to expand our reach outside of the UK where the potential is almost limitless. To be at the start of a journey as exciting as this makes me very proud and gives me the opportunity to take the MPW franchise model onto a truly global platform. “RMAL Hospitality has a strong track record within the restaurant and hospitality sector and we’re delighted to launch this exciting new division of Black and White Hospitality. With two venues already in the pipeline and Marco having just opened The English House in Singapore, we’ll be looking to build our international presence with hoteliers, owners and other hospitality management businesses” concluded Mr Taplin. A collaboration between Marco Pierre White and award-winning jockey Frankie Dettori,Frankie’s Italian Bar and Grill offers a cosy Italian ambience and a menu with a diverse range of authentic Italian delicacies. Classic recipes have been given a modern twist to create signature dishes. The bar features live entertainment through the week with timeless classics like Frank Sinatra and U2. Established for the first time in the UAE by RMAL Hospitality, Marco Pierre White Steakhouse & Grill offers a classic British menu with signature steaks and premium cocktails. Crafted from locally sourced ingredients, the menu features English and French delicacies. 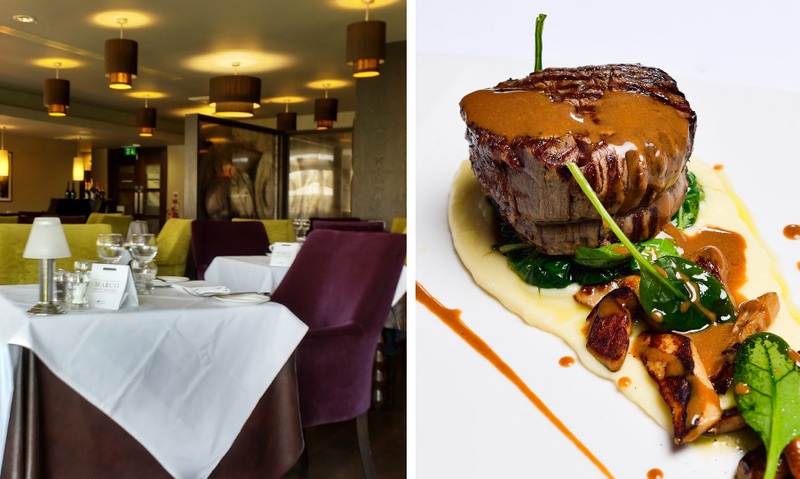 With a private dining room and a wine cellar managed by a sommelier, Marco Pierre White Steakhouse & Grill has been honoured with the Best Steakhouse and Restaurant of the Year awards. 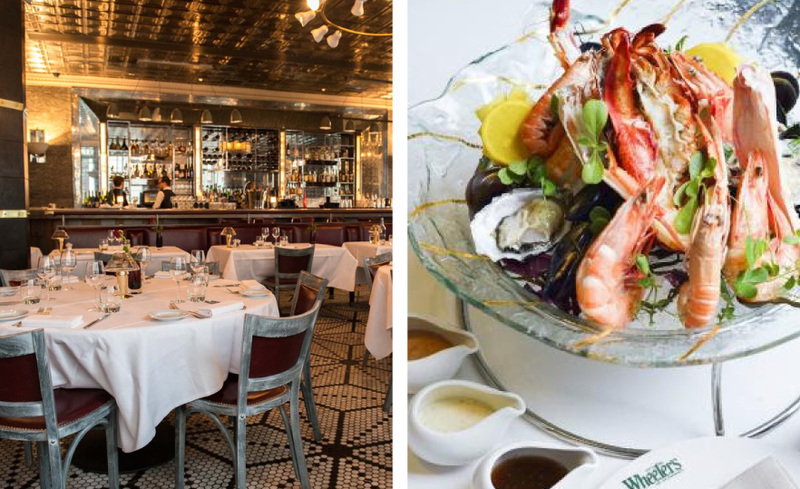 Inspired by the original Wheeler’s, a traditional English seafood restaurant established in 1856, Wheeler’s of St. James offers an exquisite seafood dining experience. Classic recipes from the original Wheeler’s have been given a contemporary twist by Marco with seafood as a key component. 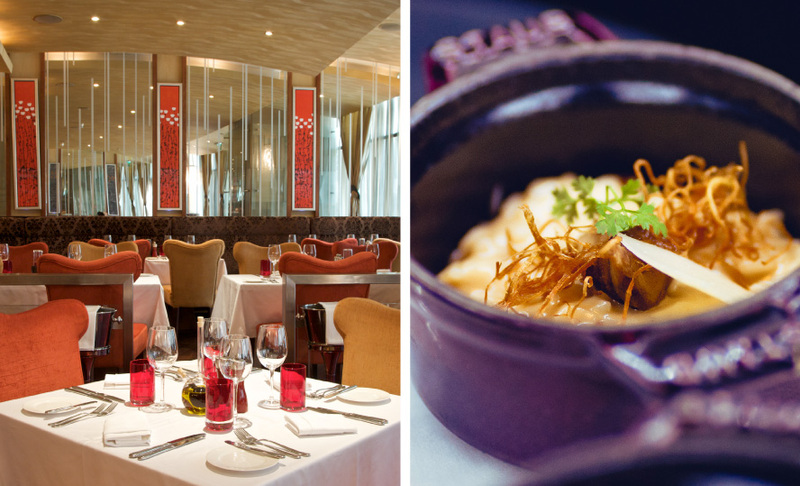 Our signature dishes include Oysters, Lobster Macaroni with Black Truffle and Marco’s Mango and Coriander Fish Curry. Renowned for its seafood cuisine, the Wheeler’s menu also features other meat and vegetarian delicacies.